Nestled just beyond the banks of peaceful Bow Creek, an inlet of South Devon's majestic River Dart, is the oh-so stylish Perchwood Cottage within the pretty waterside hamlet of Tuckenhay. 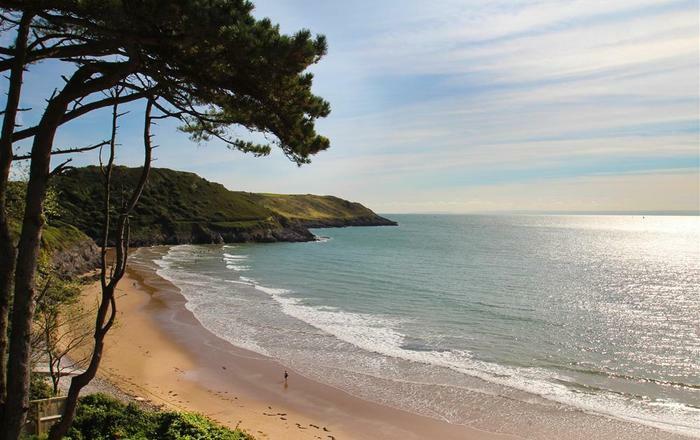 It is perfect for a romantic getaway or a family holiday, and its idyllic position is a great base from which to explore the South Hams where golden beaches, craggy coves and scenic country rambles reign supreme. 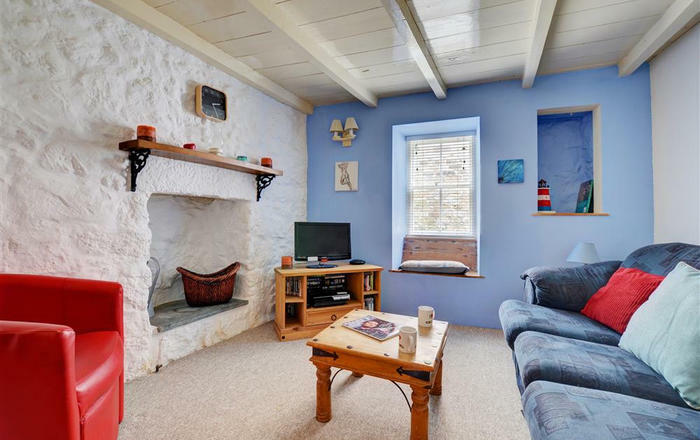 Alongside the owner's home, Perchwood Cottage is one half of a lovingly refurbished stone cottage which oozes attention to detail, bespoke fabrics, crafted furnishings and an abundance of warm welcoming ambiance. Its light and airy open plan living area boasts double doors opening into the garden to bring the outside in, and for those cosy winter nights snuggle down amongst the comfy sofas set in front of the wood burner. A relaxing twin bedroom is complemented by two sleek bathrooms, one with a sumptuous roll top slipper bath, and the piece de resistance is the spacious second floor double bedroom which offers glorious unspoilt views up and down Bow Creek and across to scenic woodland. Simply relax, unwind and watch the ebb and flow of the tide from an unrivalled vantage point. For those who can tear themselves away from this peaceful haven, Tuckenhay is a short drive from the eclectic bustling town of Totnes which is renowned for its wide selection of art galleries, boutique shops and Sharpham Vineyard. Alternatively head downstream to Dartmouth which is a hotspot for sailing activities or perhaps loose yourself along one of the many stunning coastal walks. After a day's exploring, why not sip cocktails or sample some delicious local food in one of the two waterside pubs which are both within a short walk from Perchwood Cottage. 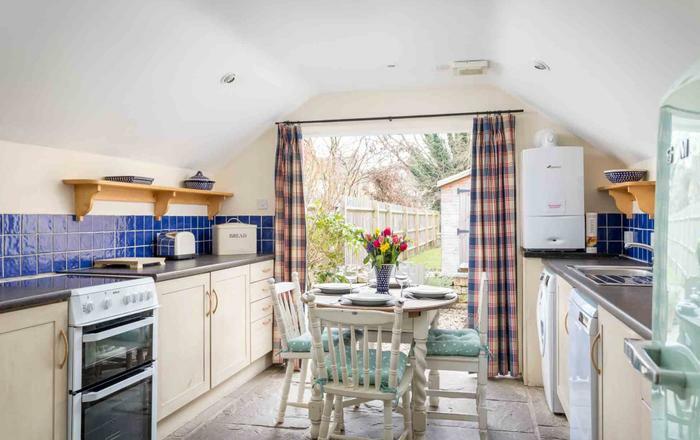 This cottage won't fail to delight! Steps with handrail to front door. 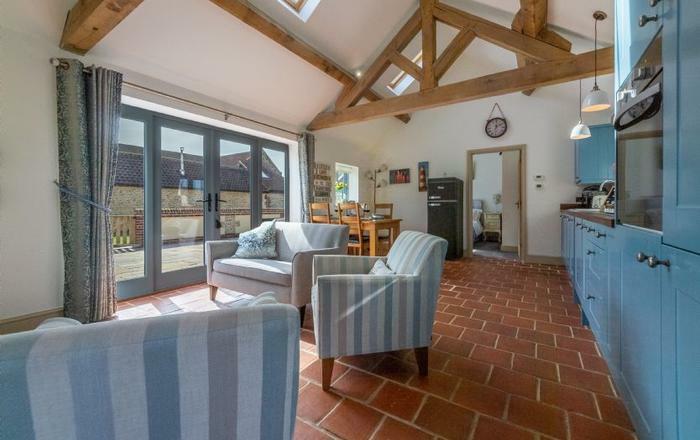 Ground floor: Entrance hall leading into superb open plan living area with tiled floor, windows to three aspects of the cottage and double doors opening onto the patio and garden beyond. Lounge area furnished with two sumptuous sofas, bespoke bookcase with cupboard for TV and DVD player, iPod dock and handsome fireplace with wood burning stove. Dining area with table, chairs and pew bench to comfortably seat 4. Beautifully crafted kitchen area with electric oven, ceramic hob, microwave, dishwasher, fridge, Belfast sink and oak island unit. External utility room with washing machine, freezer and storage for boots and coats. External WC. First floor: Twin bedroom with two 3ft single beds (these can be joined to create a 6ft super king please request at time of booking), built-in wardrobe and creek glimpses. Luxury bathroom with freestanding slipper bath with hand shower, sepearte shower, heated towel rail, wash basin and WC. Contemporary shower room with corner shower, heated towel rail, wash basin and WC. Second floor: Master bedroom suite with 5ft king bed, wardrobe, chest of drawers and two cosy armchairs with feature window boasting far reaching views along Bow Creek. Private level grassed garden to the side of the property. Sunny terrace with picnic bench perfect for al fresco dining. Barbecue supplied. 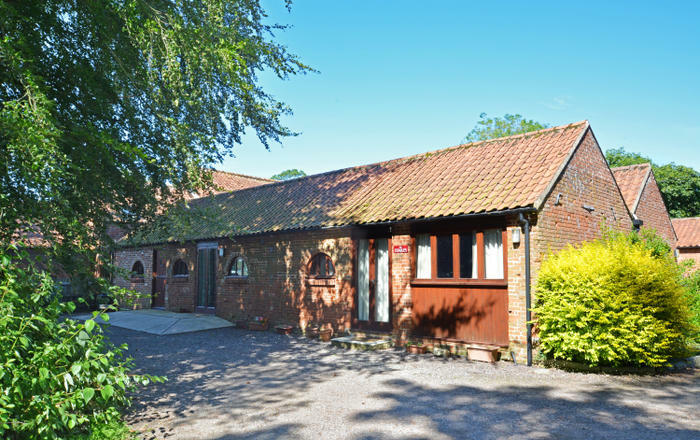 Access to the owner's private quay is available upon request and is ideal for crabbing as well as launching dinghies, kayaks and paddleboards at high water. This at guests' own risk and need to supply their own life jackets and equipment. Parking: Designated roadside parking for two cars. Included: Bed linen, towels (please provide your own beach towels), WiFi, high chair, travel cot, stair gate, complimentary initial supply of logs or coal, electricity, central heating (gas). Dogs: One well behaved dog welcome. A second dog may be accepted with enquiry. Telephone: Mobile reception poor. The owner's telephone is available in emergency. Local Facilities: Beaches at Blackpool Sands, 8 miles; Broadsands , 11 miles. Pubs: The Maltsters Arms 250 meters; The Watermans Arms 250 meters ; The Durant Arms at Ashprington 0.5 miles. Village shop at Harbertonford, 3 miles. Sharpham Vinyard, 2 miles. Dartmouth, 7 miles. Supermarkets and wide range of facilities at Totnes, 4 miles. Boat and kayak hire in Dittisham, 3.5 miles.